Depending on the side of the fence you are on, you either love or hate AdBlock, the online ad-blocking software. The rise of Ad Tech – ways of serving users more relevant ads online, and ways of monitoring how users have responded to them – unsurprisingly gave rise to tracking technology, like that of AdBlock, which block “annoying and intrusive” online ads. The avid or savvy internet user will love it, cutting out noise, whilst the online advertiser will hate it, making their job that bit more tricky. Is AdBlock really such a bad thing though? I have to admit…I was once an advocate of the now infamous internet software ‘AdBlock’. Before jumping ship and pursuing my career in the Digital Marketing world, my web browsing experience felt clean and clutter free. Using AdBlock helped cut out the barrage of online advertisements. No longer had I to wait those extra few seconds for a YouTube video, and stopped the feeling of being stalked around the internet by companies using re-marketing techniques with display advertisements. I suppose it comes down to…How ethical are you? Some believe AdBlock can be compared to recording your favourite TV show to watch later and then skipping through the ads. I’m not so sure this is the case. It doesn’t cost the broadcaster anything if I decide to miss the show, I do so passively. I record the show and voluntarily decide not to sit through 20mins of ads, as opposed to online, where people are now going out of their way to block them, denying the website owners any revenue, and us online marketers possible conversions. It is strange because generally people that watch shows at the scheduled time will sit through the advertisements. Now though, I have come to embrace those using Ad Blockers. I have turned mine off for good and through experience I have found that a site saturated with advertisements, usually lacks great content. The Internet’s success is built on advertising. 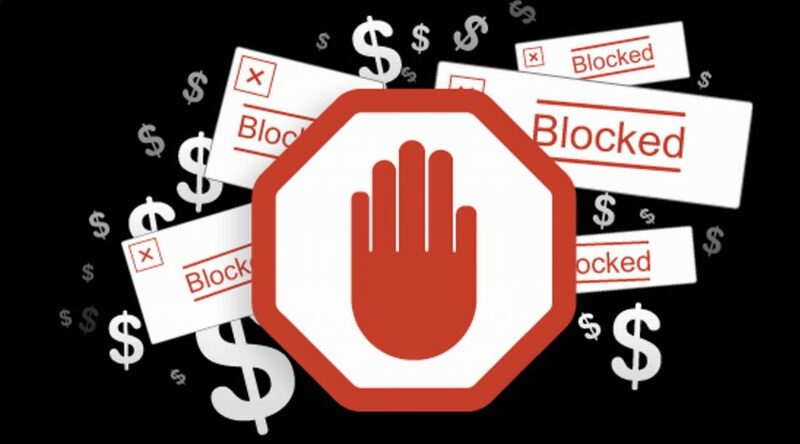 With Ad Tech exploding, AdBlock is becoming ever popular – AdBlock is on track to hit 300 million downloads by next week, with active monthly users at between 50 million and 60 million at the moment. This isn’t ideal but it’s up to us as marketers to adapt and come up with new ways of getting through to potential customers. By becoming clever, more relevant and less intrusive, our campaigns can be more effective. One simple way of battling Ad Blocker software, would be to create website content that AdBlock recognises as advertisements. Some websites have already started doing it (be it intentionally or unintentionally). That way, AdBlock users would land onto relatively content-free websites which forces the user to pause or switch it off. I am not encouraging this as a strategy however. It could damage user experience and create a poor first impression, resulting in non-returning traffic. This could cause irreparable damage to the brand. The real solution is to start creating better designed websites and putting yourself in the shoes of a Internet user. People don’t like being screamed at in real life so why do it virtually by having noisy websites? Focus on creating ‘good content’ rather than ‘just content’! Looking to start a Google AdWords campaign? Let Castle33 help you drive more traffic to your website. We are Google AdWords certified so you can trust us to get the most relevant traffic without wasting precious budget. Call us today on 083 185 7255, or drop into our new Blackrock office. We’re located at 33 Carysfort Avenue, Blackrock, Co. Dublin.